Over at the Tasmanian Department of State Growth website they now have some information about special timbers. Yet another Special Timbers Management Plan is being prepared. The Management Plan is required to be in place by October 2017, with the draft Plan available for public comment in early 2017. So get those pens warmed up. You only have 18 months to wait before you are permitted to have your say!! No mention is made of the fact that blackwood is by far the dominant special timber, accounting for over 90% of volume harvested each year. No mention is made of the commercial potential of private grown Tasmanian blackwood. No mention is made of the fact that blackwood sawlog supply and Tasmania’s iconic blackwood industry is now in jeopardy due to decades of overcutting and mismanagement by Forestry Tasmania and successive State governments. No mention is made of the continuing fiasco of Tasmania’s most valuable timbers being a taxpayer-funded community service. No mention is made of how the ongoing harvesting of special timbers from public forest will be funded, or how much it is likely to cost. One suspects that (as in the past) financial and commercial matters will not be discussed in this forthcoming management plan. There’s no mention of the new Hydrowood project that is going to be supplying the market with significant volumes of salvaged special timbers over the next 5-10 years. Unfortunately there is also absolutely no information about the proposal to log the Tasmanian Wilderness World Heritage Area, and the recent visit to Tasmania by delegates from UNESCO. This issue of international importance is completely ignored! I guess the Tasmanian Government does not want the UNESCO delegates to be fully informed, let alone anyone else who has concerns about World Heritage management. They can’t even provide a Table of Contents, an indication of the scope of the management plan. Would I be correct in guessing that State government special timbers policy is all about politics and supporting a handful of woodworking mates? There is nothing here about commercial opportunity or industry development. There is absolutely nothing here for existing and prospective commercial blackwood growers. Once again its totally pathetic! When will Tasmania get a fully commercial and profitable forest industry? The long anticipated Hydrowood project is finally under way on Lake Pieman on Tasmania’s west coast salvaging specialty timbers from flooded hydro dams. Here is the projects new website. I have both hopes and fears for this project in terms of what it could do for the special timbers/blackwood market. My hopes are that through Hydrowood sales the company will provide much needed special timbers price and market transparency. This is unlikely to happen but I will certainly be encouraging the company management to adopt a commercial/transparent model. The main driver that will encourage Tasmanian farmers to grow commercial blackwood is if there is much more price and market transparency. Can I get Hydrowood on board? Ideally I would like to see Hydrowood set aside the very best logs from the salvage operation and every 3-6 months have a major auction. Let us put 1,000 cubic metres of Tasmania’s finest timbers on the auctioneers table every 3 months and see what the market is prepared to pay! Let us clearly demonstrate that the forest industry has commercial muscle and is no longer a community service. Let us use this opportunity to stimulate interest in the real value of quality timber, and growing trees as a profitable investment and primary industry. The fears are that a) they will flood the market and drive down prices, or b) the ST oligarchy that are currently pushing for World Heritage logging will force the Government to put restrictions on the Hydrowood markets/prices, or c) given the history of the last 40 years that this will turn into yet another Tasmanian forest industry disaster. Hydrowood estimates they will salvage 80,000 cubic metres of special timbers over the next 3 years, with the possibility of the project lasting another 5 years. This is far more special timbers than has ever been supplied to market before. I would be surprised if the Australian market can absorb this volume of wood. Some of it will have to go to export markets. Perhaps all of it should go to export markets. Much of this 80,000 cubic metres will be blackwood. I don’t have a problem with our valuable timbers going for export, especially if they are attracting premium prices and the market is kept informed. What this huge volume of premium wood will do for the special timbers market and for prices will soon enough become apparent. The Hydrowood project will definitely have a prolonged and significant impact on the profitability of a number of important Tasmanian businesses. Consequently there will be political repercussions. Tasmanian farmers who are actually growing commercial, sustainable special timbers where the cost of the wood actually reflects the cost of growing, harvesting and replanting the trees [profitable (??) and sustainable]. These poor farmers now have a very difficult market in which to operate and compete. They have absolutely no support from the Government or industry. Do they have any support from the market? If the State Government goes ahead with logging the Tasmanian Wilderness World Heritage Area there will be a fifth supplier in the special timbers market – taxpayer-subsidised, unprofitable and unsustainable. If that’s not a buyers dream market I don’t know what is! How can Tasmania’s special timbers and blackwood industries have any future with this mess of a marketplace? The only business model for a successful forest industry is profitable tree growing. So where are the profitable tree growers in any of this mess? Does Tasmania really want a special timbers industry? It sure doesn’t look like it! Dear reader, please think carefully before making your next special timbers purchase. It really is a pathetic joke! But good luck to the Hydrowood team. It’s a shame we can’t have a profitable, commercial and sustainable special timbers industry in Tasmania, as well as the clean-up and salvage. Some Hydrowood salvaged blackwood – unique but how valuable is it? Now here is a timber price list to get the heart racing. 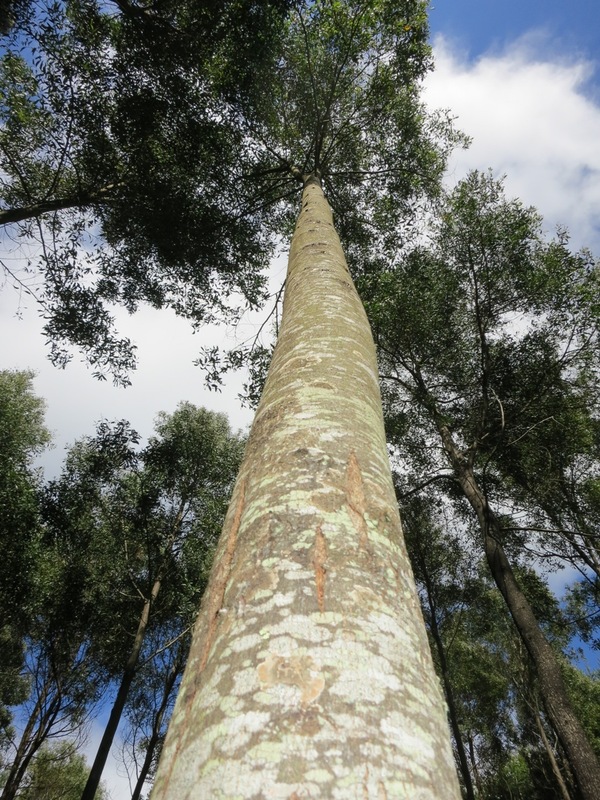 Australian Red Cedar (Toona ciliata) was once the premium appearance grade timber species in Australia. From the first days of European invasion to about the time of the First World War (140 years), this timber was chased from every pocket of rainforest up and down the east coast of Australia. John Vader (1987) Red Cedar: The Tree of Australia’s History. Reed Books, Sydney, NSW. Much research and many attempts have been made to try and domesticate the species for growing in plantation. But the dreaded Cedar Tip Moth is a powerful and persistent enemy. Australian Red Cedar is now commercially extinct, but limited quantities are sometimes available from salvaged trees. It is a curious price list in that prices per cubic metre remain unchanged at between $8,000 and $10,000 per cubic metre for thicknesses up to 50mm. Even for a rare and much sought-after timber these prices are not that extraordinary. This flat pricing structure is typical of salvage timber where the price does not reflect the cost of growing the trees. Salvage timber is just a case of whatever comes along, big or small, long or short. There is no incentive/reward to the grower to replant. But once you get into the large sizes, prices up to $17,100 per cubic metre definitely get the heart racing. No wonder so much effort has been made trying to grow this tree commercially. After the First World War the supplies of Australian Red cedar dropped dramatically and Tasmanian blackwood became Australia’s premier appearance grade timber species. It too is now on the verge of becoming commercially extinct due to overcutting of the public blackwood resource and decades of poor forest policy. At these prices I’m surprised there is not more interest from investors and landowners in growing premium timber. Isn’t this a business/investment opportunity going begging? Will prices for Tasmanian blackwood soon resemble these prices for Australian Red Cedar? 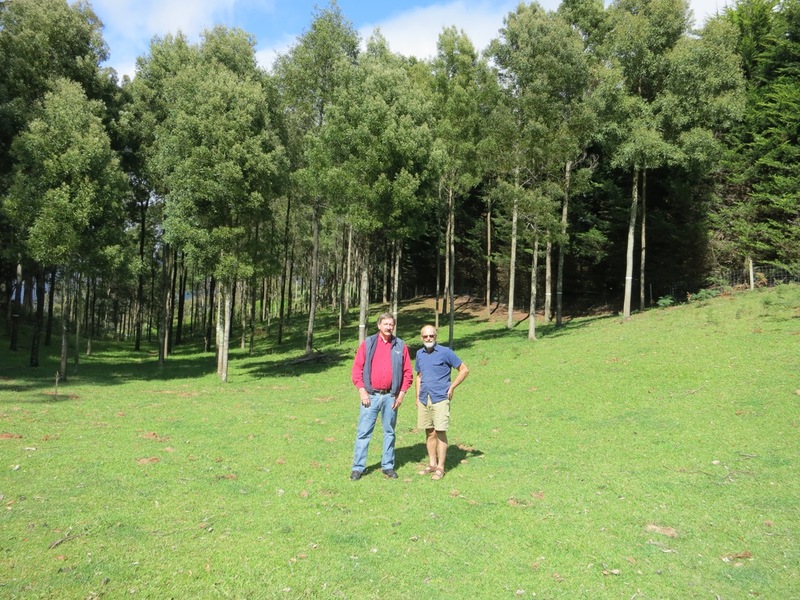 Two blackwood growers discussing the finer points of blackwood silviculture and markets. Look at those magnificent blackwoods behind. Thanks guys!! And 6 long metres of well managed premium Tasmanian blackwood sawlog. The work is done and now it’s time to sit back and watch the quality and the money grow.